Millions of young South Africans – 40% of those between the ages of 15 and 34 – are not in employment, education or training. 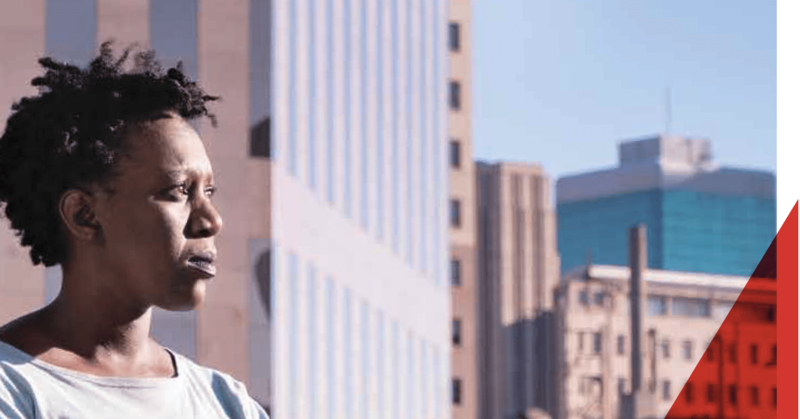 It is time for the public and private sectors collaboratively to rethink the approach to driving labour-centric and inclusive economic growth in South Africa, writes Brigid Kell. A pervasive legacy of inequity, an appalling education system and slow economic growth are some of the root causes of South Africa’s extreme levels of unemployment. In addition, youth unemployment is particularly sensitive to the overall economic conditions of any country. Young people tend to be locked out of the workforce by protective labour laws, as well as a lack of mobility in the workforce. In South Africa, it is particularly difficult for employers to fire employees, which means slow staff turnover and reluctance to hire someone inexperienced, who may prove to be incompetent. In addition, employers do not trust the quality of school education, and require higher qualifications. This effectively shuts out a large pool of potentially good young employees. There are also many practical barriers of entry to finding and keeping a job, including the cost of getting to interviews or to work, buying appropriate clothing, accessing the internet, or preparing and distributing CVs. Many unemployed youth do not have a network of employed friends or relatives to help them connect to available jobs. Government injects about R14 billion each year into tackling youth unemployment. However, due to the magnitude of the crisis, it is imperative that the private sector supports efforts to address youth unemployment; from helping to tackle the root causes of the problem, by driving education and skills development initiatives, to supporting enterprise development, internship, training or placement programmes. There are numerous opportunities to explore and interesting examples to learn from. The Amended Codes of Good Practice on BBBEE came into effect on 1 May 2015. Three of the five elements in the Amended Codes are linked to CSI. Of these, two – Skills Development and Enterprise and Supplier Development – are priority elements (the other is Ownership). Working to fulfil the requirements of the Codes in an innovative and strategic way can enable companies to make a significant contribution to addressing unemployment in their communities and supply chains, while also benefiting their own businesses. Harambee is a youth employment accelerator that recruits candidates where existing corporate recruitment networks do not reach, and assesses and trains the youth through bridging programmes. Newly trained youth are then placed into jobs that fit their skills. To date, Harambee has successfully placed over 25 000 young people with 250 South African businesses across 10 economic sectors. Discovery Health, Nando’s, Direct Axis, Hollard and Liberty are some companies that have partnered with Harambee. The National Business initiative (NBI) is a coalition of companies from different sectors that build collaborative partnerships. One of the coalition’s key strengths is integrating large strategic projects. It also focuses on skills development projects, particularly supporting partnerships with Technical and Vocational Education and Training (TVET) colleges. For example, the Construction Industry Partnership, launched by the NBI in 2006, created partnerships between TVET colleges and construction companies to improve the colleges’ responsiveness to the industry’s skills needs, with the Department of Higher Education and Training as a strategic partner. Go for Gold is a public-private youth education and employment initiative founded from a collaboration between construction businesses, government and civil society. The organisation is internationally renowned for its four-phase education-to-employment programme. 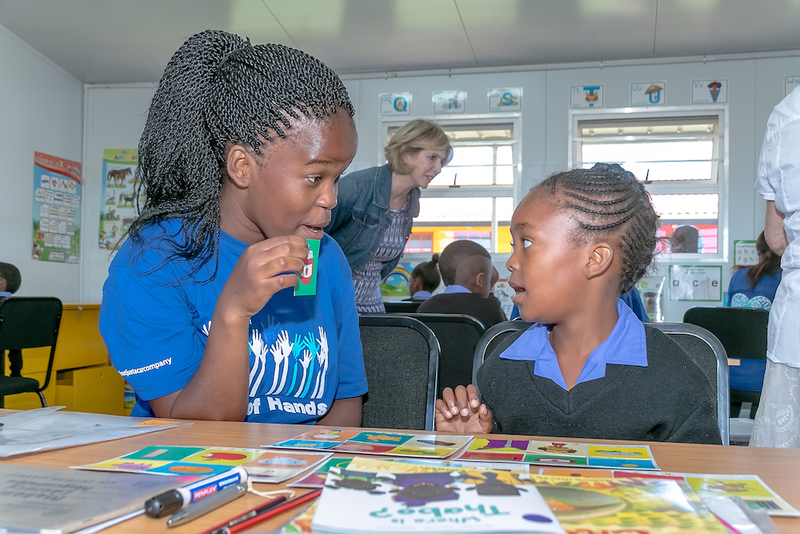 First is an academic and life skills intervention at secondary school level, then matriculants are placed in one-year internships with companies in the built environment and related sectors. After the internship, students embark on tertiary studies, often supported by bursaries from sponsoring companies. Finally, students are employed as graduate professionals. Some of Go for Gold’s partners include Power Construction, Haw and Inglis, NMC, Murray and Roberts, Martin and East, Sutherland and Associates, and WBHO. The Youth Job Creation Initiative was launched by EOH, a large scale implementer of enterprise solutions, in 2012. The objective is to improve the work experience skills of unemployed youth across South Africa. Since 2012, over 35 000 learners and graduates have benefited from the initiative, with 14 500 completing learnerships or internships. Of the individuals taken through the programme, 83% have been placed in full-time employment within EOH and its partner networks. This project, launched by the Mr Price Group’s RedCap Foundation, aims to prepare unemployed youth for the world of work. The programme targets unemployed matriculants who are unable to get into or have dropped out of tertiary institutions and cannot find jobs. Young people who complete the training are placed in clerical and sales positions at Mr Price Group’s outlets. By 2016, 10 876 beneficiaries had been trained and 4 266 were placed in permanent positions. In conclusion, until systemic, policy level change is achieved, the private sector has a crucial role to play in helping to address youth unemployment. First and foremost, companies should consider taking advantage of the Employment Tax Incentive Act (previously known as the Youth Wage Subsidy). A tax subsidy is paid to eligible employers for the first two years of employment of a new (qualifying) employee below 30 years old. They can aim to employ more youth in internships, learnerships or permanent positions. Review recruitment criteria, or partner with organisations to reach candidates not normally seen as employable. Partnering with work training organisations also helps to mitigate the risk of hiring untested and inexperienced candidates. Critically, companies must shift from working in silos and focusing exclusively on their own needs, to greater consideration for the sustainability of their industry, and the economy as a whole. Equally important is the need for effective partnerships between the private and public sectors. The right kinds of partnerships can unlock the potential of youth. Companies, government and the non-profit sector can, and should, work together to drive skills development, create opportunities for training and interning, as well as to support SMMEs so that they, in turn, can employ a new generation of South Africans.